The team over at runDisney keeps coming up with new and exciting twists to add to their events, and these elements get bigger and better with each passing year. For the 2014 Walt Disney World Marathon Weekend, the trend of adding a 10K race to the pre-existing distances continued. However, with the addition of the 10K, the bigger story was that the Dopey Challenge became officially sanctioned in the runDisney repertoire. Over four days, participants could sign up to participate in the 5K, the inaugural 10K, the Walt Disney World Half Marathon, and the Walt Disney World Marathon. When registration came to a close back in April, nearly 7,000 runners had committed to the challenge. I was one of them. Karen, my runDisney cohort, and I arrived in Orlando on Wednesday, the earliest we had ever arrived in Walt Disney World for the marathon weekend. I’ve typically arrived the Friday prior, running the half and full consecutively on Saturday and Sunday as part of the Goofy Challenge. This time, we needed to be there early to pick up our numbers before racing started on Thursday morning with the 5K. Soon after we were checked in to the hotel, we made our way to the ESPN Wide World of Sports Complex where the expo was situated. After figuring out where we had to pick up our 2 bibs (one for the 5K / 10K & one for the Half / Full), making two stops to get our six participant shirts, and halting for a final stop to buy merchandise, we were able to take a quick stroll through the numerous vendors set up on the convention center floor. Karen had made very exciting dinner reservations at the California Grill for that evening, and I was anxious to be out of there on time! The 5K race started at 6:15am, which meant that we were up before 4:45am to get dressed and on a bus headed to the start area. Having a hotel near the start proved to be an asset, as we were there in no time. 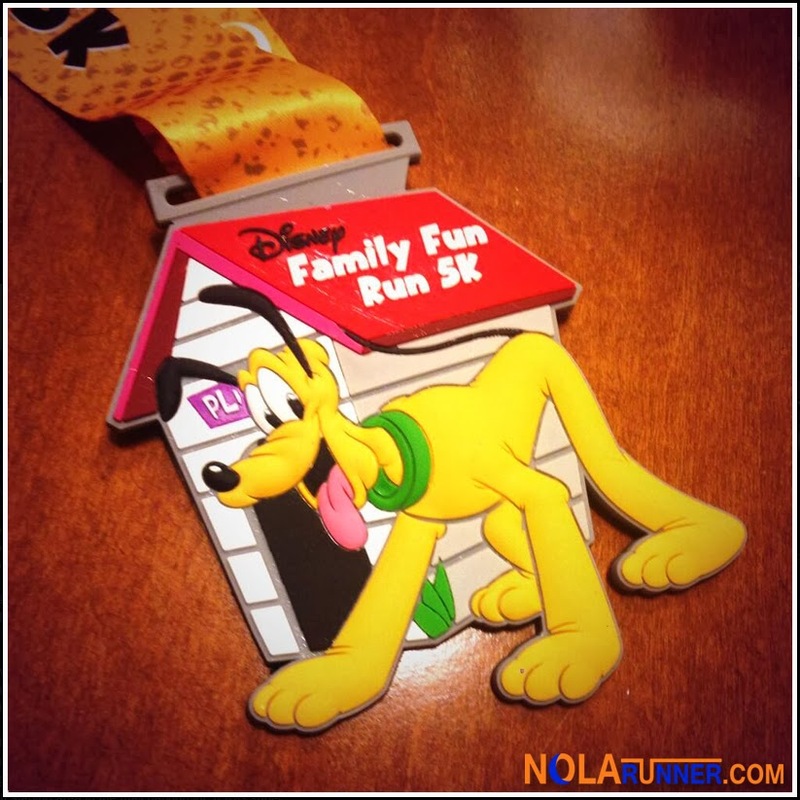 I had run the 5K during my first Disney World Marathon experience in 2010, and this year’s event was so drastically different. For one, there was a corralling system in place, which was simple but effective for the size of the race. That brings me to the second difference; nearly five thousand more people were participating in the race this time around. The effects of the addition of the Dopey Challenge were already being felt. The start of the race was on-time, and the corrals lettered A thru E went off fairly quickly in 2 minute intervals. Karen and I were both in the B corral, and soon after the gun fired to send us off through the Epcot Center parking lot, we encountered bottle necking along the more narrow segments of the course. The large crowds of people were jamming together and it slowed us down drastically as we raced to enter the back gates of the park for a lap around World Showcase. Another addition to this year’s 5K was the increased number of characters on the course. The man of the hour, Dopey, had a line of runners a mile long waiting to take a picture. 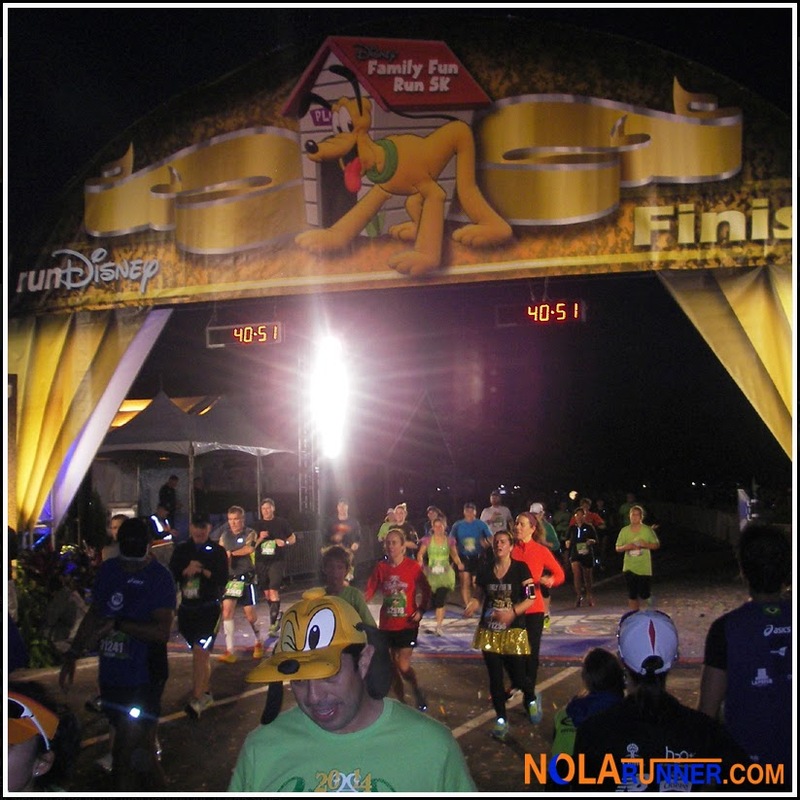 Daisy Duck, Flick, and the mice from “Ratatouille” also made appearances for mid-run photo opps. After crossing the finish line, the bottle necks continued as we waited a while to get our medals, then again as Dopey Challenge participants had to get wristbands to say they completed the race. The 10K race the following morning was much of the same setup; however, there was a much longer time separating the start of each corral. This alleviated the tightness of runners as they made turns on the course, giving much more space for each wave’s participants to move about. Course distance was increased on the 10K route by adding an out and back stretch along the interstate near Epcot, followed by a route consisting of the 5K’s path through the back entrance to World Showcase. Again, a cast of characters welcomed runners during every mile of the race, from Peter Pan and Wendy, to a Green Army Man, Mushu from “Mulan,” and even the Genie from “Aladdin!” After leaving World Showcase, runners lapped the boardwalk passing the ESPN Zone and Goofy in his football pads, the Swan and Dolphin Hotels, and the Beach Club and Yacht Club resorts. Re-entering Epcot was just for a short segment before runners hustled back in to the parking lot at the finish line. This time, the finish was much more organized, and the spacing of the corrals at the beginning made the end feel smooth and effortless. We had medals, wristbands, water and food quickly, and were back on the bus in no time. Both races were quick and executed at a fairly normal pace. I wanted to not take too long running these miles, as I had two more days of racing in front of me, with the mileage doubling each day. I learned from previous experiences that the less time spent on my feet during a challenge weekend, the better. In true runDisney fashion, they listened to their runners and adjusted their execution of events literally overnight. What I could say about the first day of running with the cramped 5K space was instantly fixed the next day. My only other concern was the number of water stations on-course. 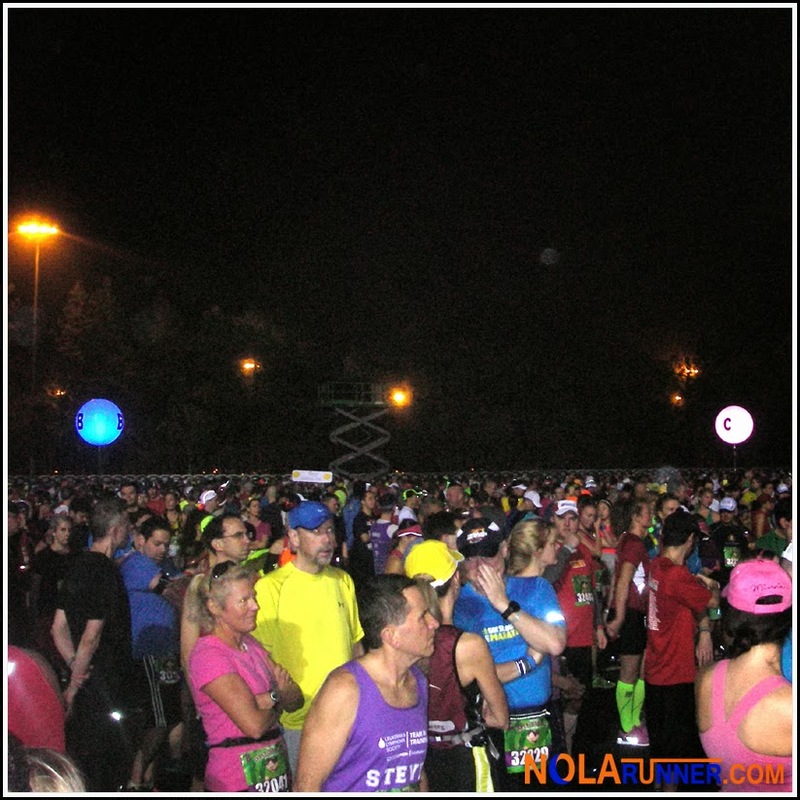 I train in the hot humid climate of New Orleans, and even I didn’t think there were enough fluids provided during the run. One more water stop on both the 5K and 10K courses would have been appreciated. Karen and I had a blast running together for both of these races, and I think we make an ideal team when it comes to running events like this. 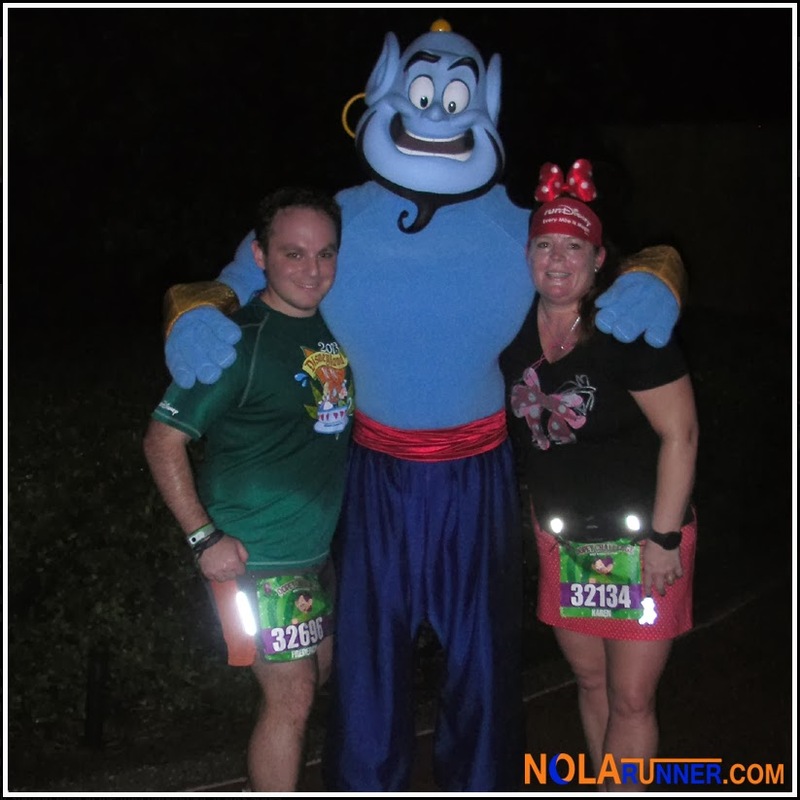 We share a passion for both Disney and endurance events. It also helps that runDisney now has the execution of their events down to a science. As you will see in my coming recap for the half and full marathon, the early start time for each of the races can really take a toll. 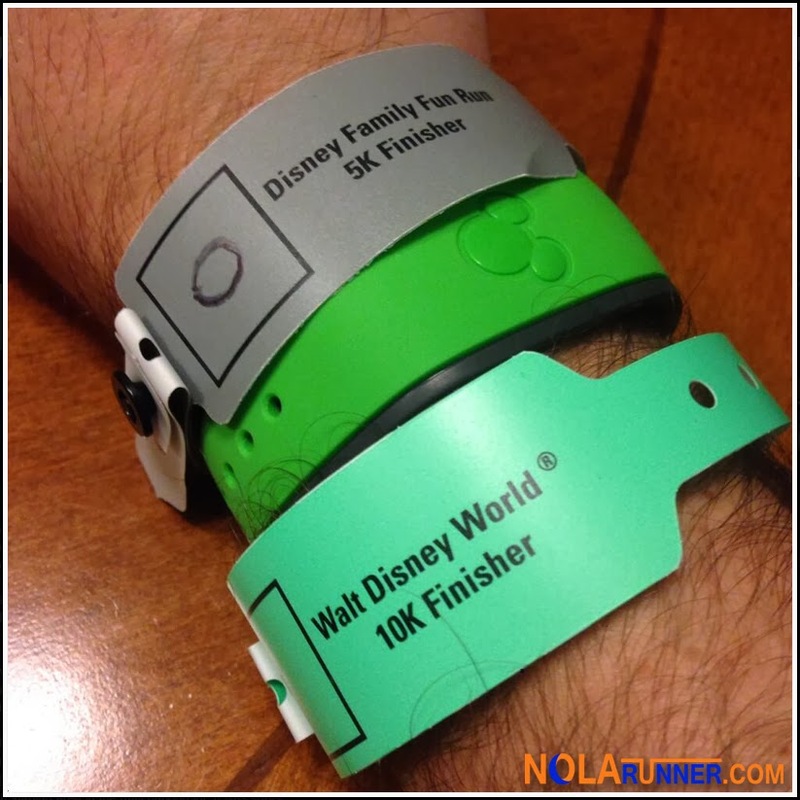 I personally feel that like many of the local races in which I participate, the 5K and 10K events in Walt Disney World could be run simultaneously. Runners would be able to make a choice as to what they want to run when they register, and the Dopey Challenge would be comprised of “Three Races, Three Days.” I would still stay the same number of days in Orlando; however, I would tack the extra day on to the end of the weekend so I could enjoy the parks and entertainment. Spending all of my non-racing time sleeping and staying off my feet really takes away from some of the magic of the weekend. 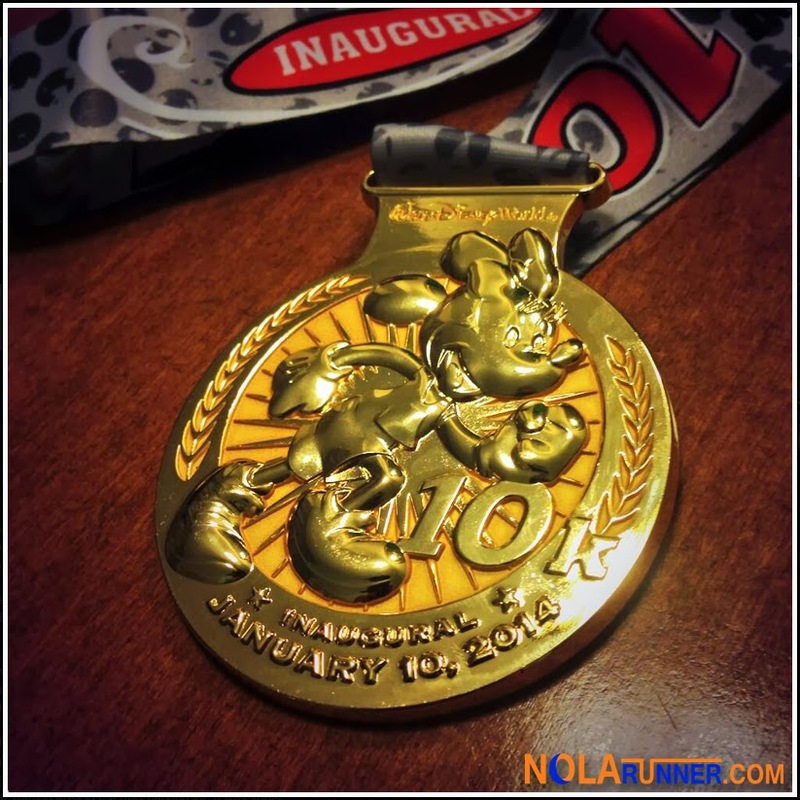 Be the first to see my recaps from the half and full marathons in Walt Disney World by LIKING the NOLArunner Facebook page HERE!